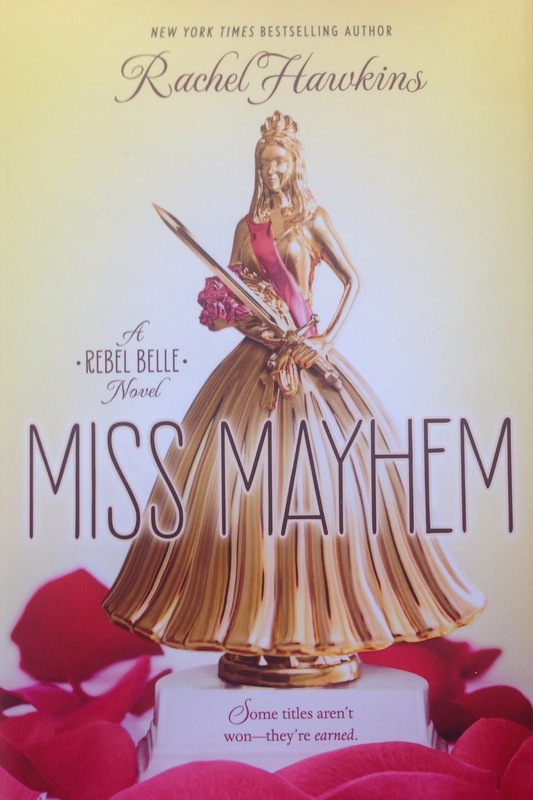 This is the second book in the Rebel Belle series by Rachel Hawkins. The first thing that I noticed when I finally got my hands on this book was how much shorter it was then the first book. It is only about 270 pages long which is fairly short. It didn't feel short though, which I guess is the important thing. I had heard quite a few people say that they were disappointed with this book. Having now finished it I can understand why. I disagree. I thought it was very enjoyable right up until that frustrating ending. I won't tell you what happened but it was one of those endings that is annoying. Up until that point I felt that the plot had held to its own. It was fun and enjoyable to read. It had a good atmosphere. There were a few plot twists but I did see them coming. They were set up pretty obviously. That does not mean that I didn't enjoy them they just would have been better had they been the surprises that they were going to be. I still enjoyed the characters in this book. Though there were a few moments when I wanted to bang a few heads together they weren't too frequent. Overall I think that this was an enjoyable second book and I am looking forward to the third some time in the distant future.